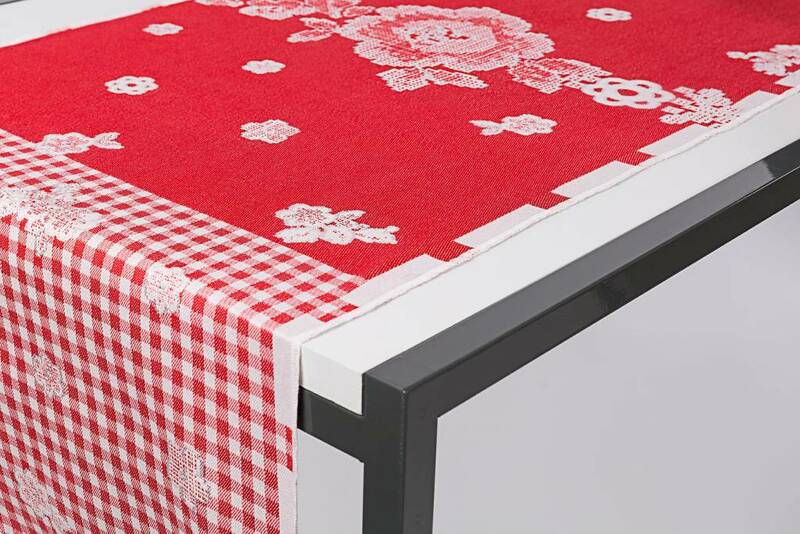 Take your dining table from everyday to elegant with this enchanting double-faced Cinderella design. 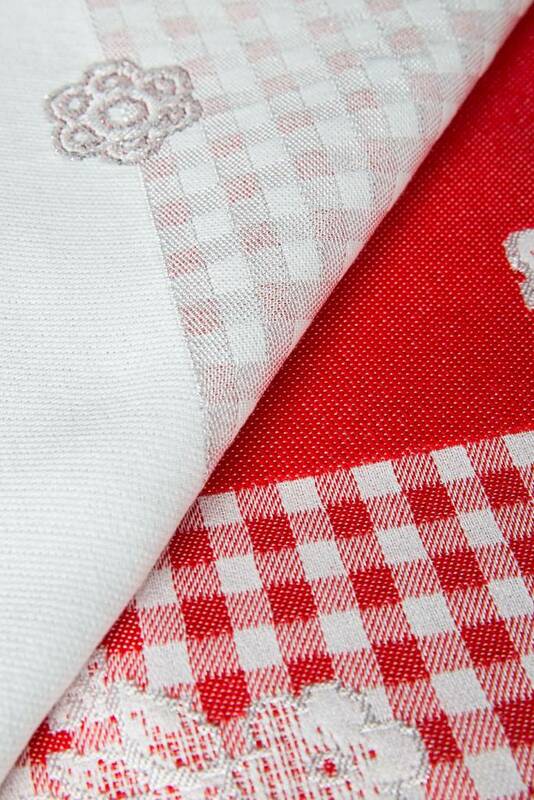 One side of the cloth is dominated by the traditional Brabant red and white check. 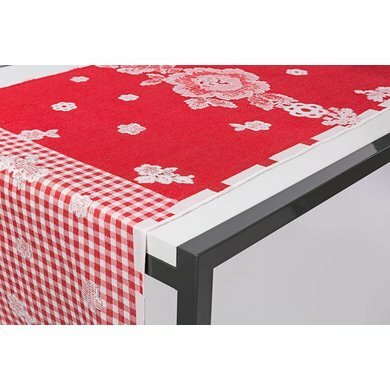 Turn it over and the shiny silver yarns and reflective floral pattern on the other side will transform any meal into a feast fit for a princess.